Born to the Dagara Tribe of West Africa’s Burkina Faso, Sobonfu’s name means keeper of the rituals. She was guided from an early age to prepare for her life’s work, as divined by the elders of her village before her birth. 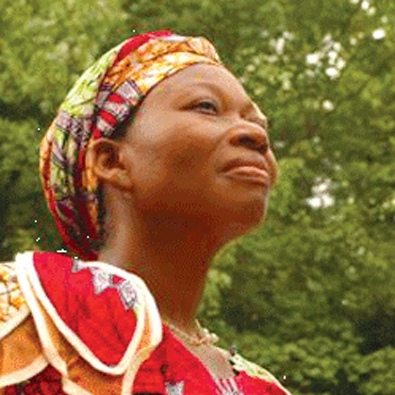 She was considered one of the foremost voices in African spirituality to come to the West. Through her teachings and books, she shared the rich spiritual life and culture of her people in a manner that exuded grace and eloquence. Destined from birth to teach the ancient wisdom, ritual and practices of her ancestors to those in the West, Sobonfu, travelled the world on a healing mission sharing the rich spiritual life and culture of her native land Burkina Faso, which ranks as one of the world’s poorest countries yet one of the richest in spiritual life and custom. Sobonfu Somé passed away in 2017.